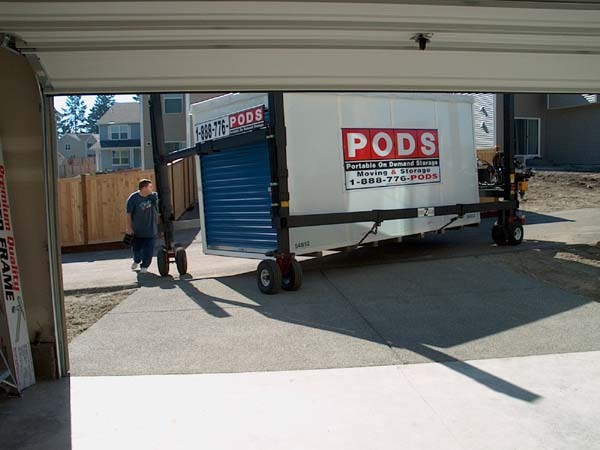 See PodZilla in action! 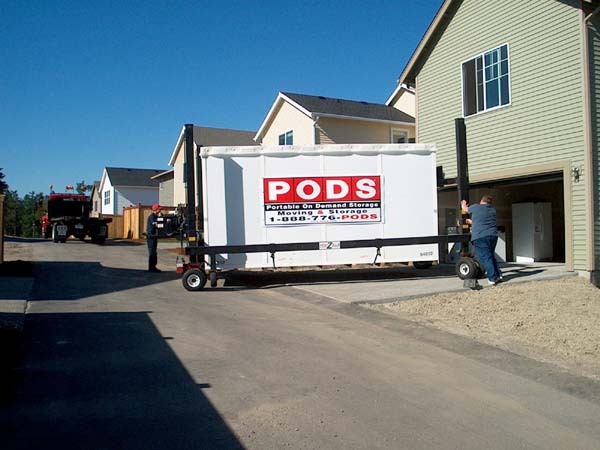 We chose the Pod to store our household goods while we were between houses. 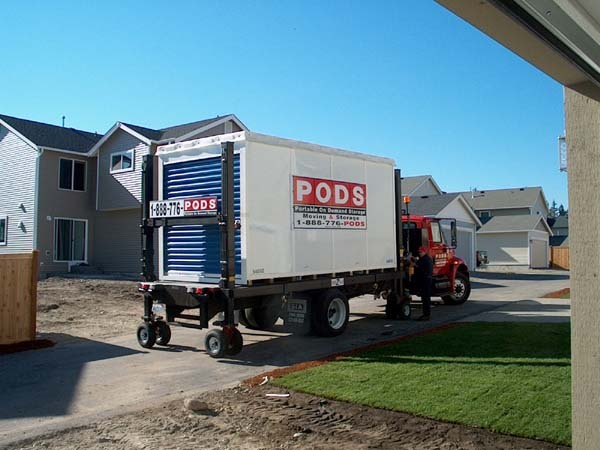 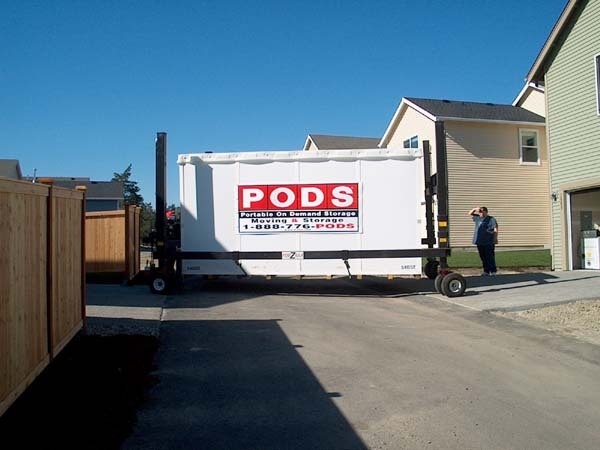 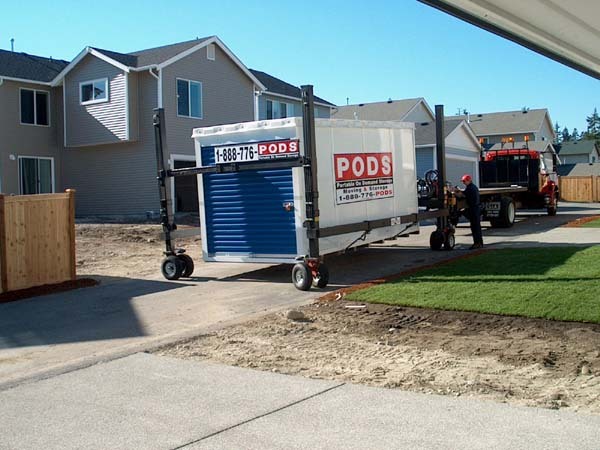 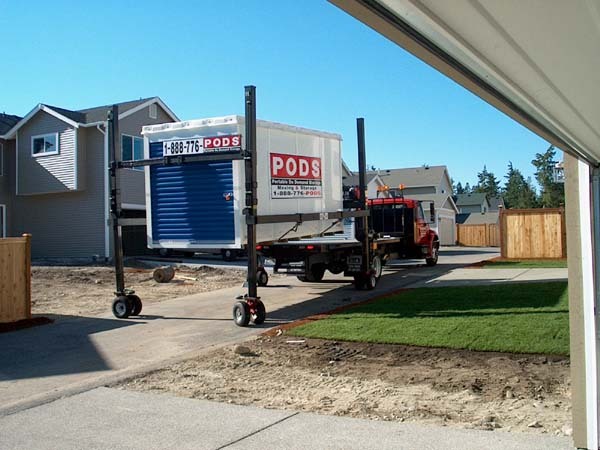 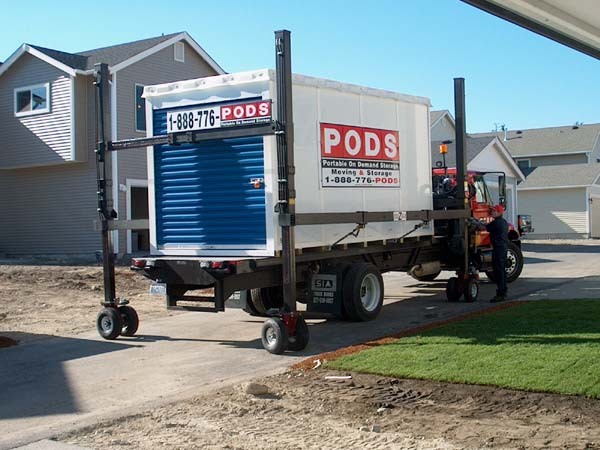 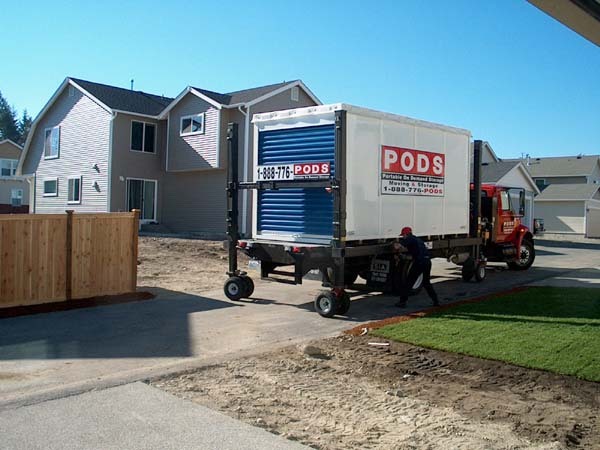 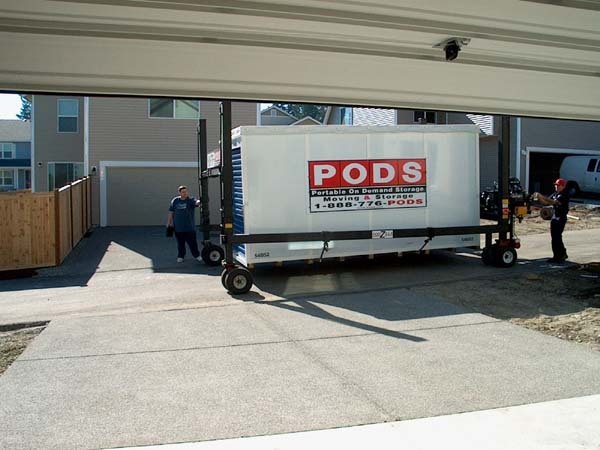 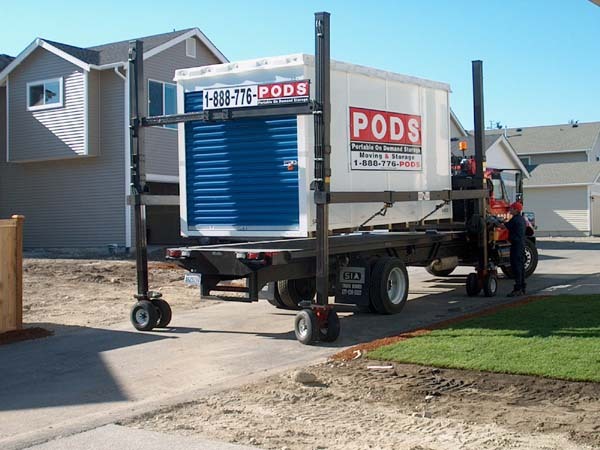 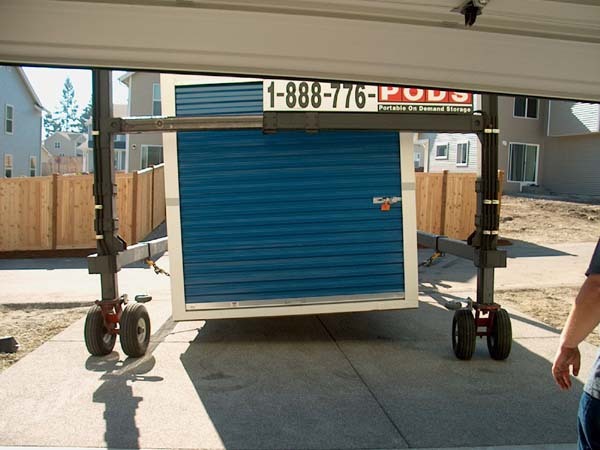 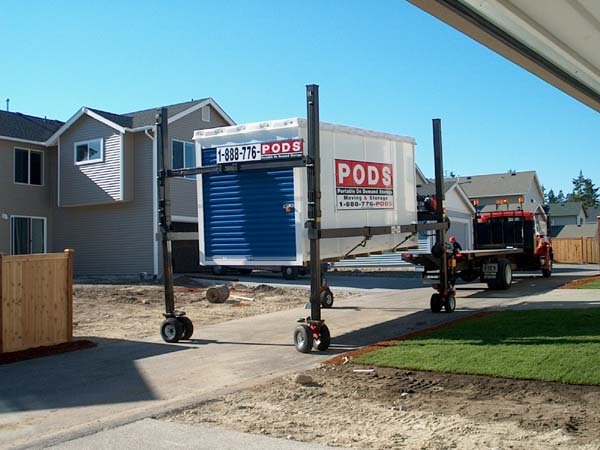 For about the same cost as a large storage locker, the Pod People delivered the Pod to our old house and we loaded it up. 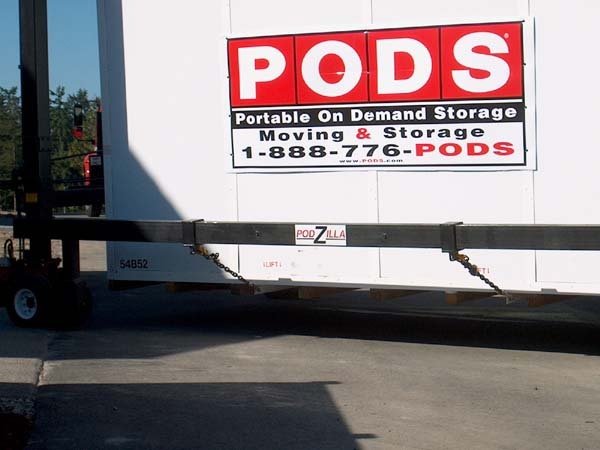 Then they picked it up and stored it in a warehouse until we called for it. 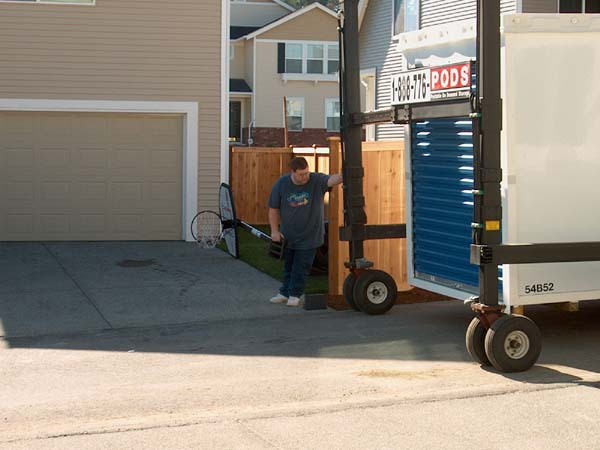 Then they delivered it again for unloading. 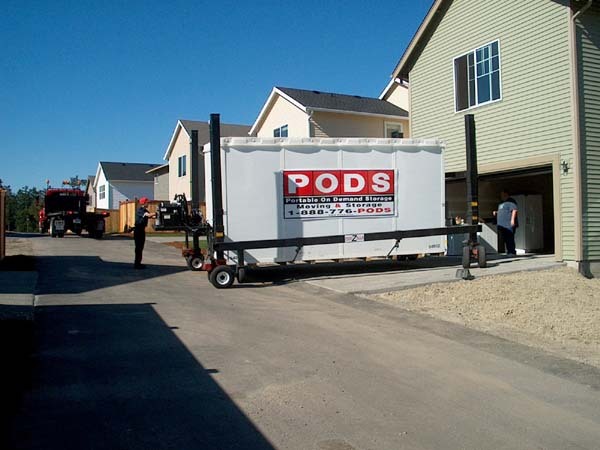 Saved us a truck rental and and extra pair of loading and unloading!